So, yeah, on the surface the idea of a young man from Newbridge spinning yarns about Austin, New York and New Orleans may sound a bit mmeh. For Ciaran Dwyer, chief songwriter in Band On An Island, it wields a far greater reward than one might expect. A trip across the US left Dwyer with a collection of songs and stories, of a distinctly different varietyto those of BOAI, and so Knoxville Morning was born. Under this new alias, with Dwyer at the helm, he is joined by fellow BOAI members and the likes of The Mighty Stef, Gavin Elsted (We Are Losers), Brian Gallagher (Humanzi), Stephen Fahey (Super Extra Bonus Party) and Claire Prendergast. The record amounts to a sweet blend of folk, country and Americana, and while it wears it’s US influences on it’s sleeve, Ciaran’s intuitive storytelling remains a cornerstone, for which the whole album is built on. It flows nicely, without a stale moment, peppered with illuminating trumpets on ‘Knoxville Morning’, ‘Tulsa (m.o.e. )’ and ‘Trumpets’. It is lifted here and there with an added vocal collaboration, especially on the beautifully soulful duet with Prendegast on ‘Baseball Song’, and ‘Alphabet City’ with The Mighty Stef. The album is tainted with an underlying air of mournfulness, not sadness mind, but a lamenting for better days and happier times long since gone. Something everyone can identify with. Plenty of artists have attempted a project like this, many of which veer on the ridiculous, while some, like The Lost Brothers or Fionn Regan (specifically his second album Shadow of The Empire) found that perfect balance. Knoxville Morning like the latter two is a success, and without a cliche in sight. 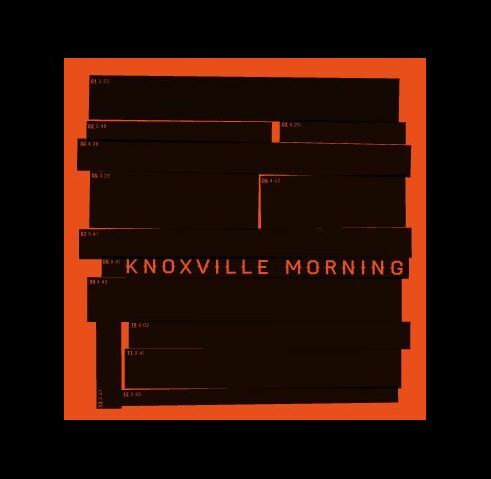 Knoxville Morning wears it’s heart on it’s sleeve and it maybe shouldn’t work, but it does, and remarkably well too, which is a credit to Dwyer and all involved.